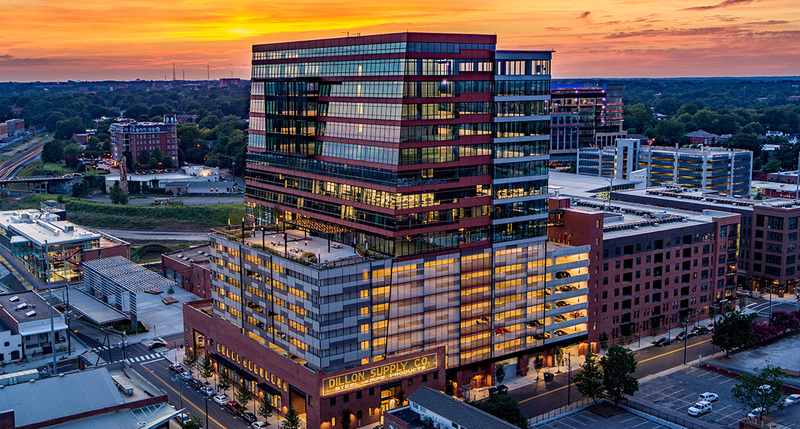 The Dillon is the first mixed-use development of its kind in downtown Raleigh’s rapidly expanding, vibrant Warehouse District. Open in 2018, the project includes an 18-story office tower with retail space and two six-story apartment buildings with an adjoining parking deck. The Dillon makes up an entire, 2.5-acre city block bound by S. West Street, W. Martin Street, S. Harrington Street and W. Hargett Street. Located within the city block bound by S. West Street, W. Martin Street, S. Harrington Street and W. Hargett Street, The Dillon is in the heart of downtown Raleigh’s Warehouse District – downtown Raleigh’s most eclectic area. 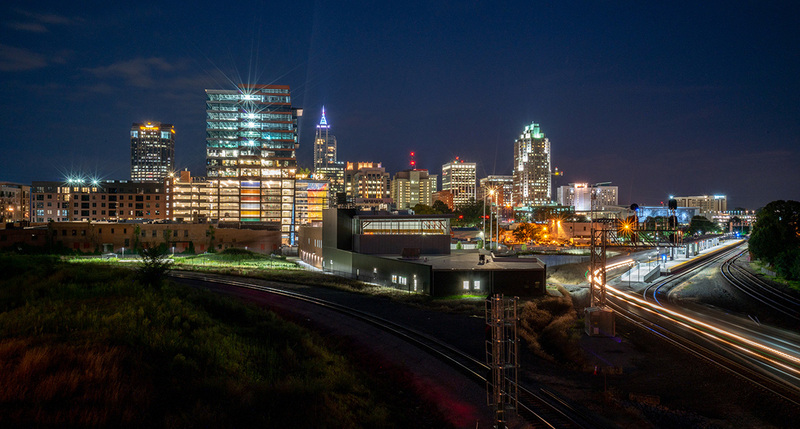 The Warehouse District is just blocks from the Raleigh Convention Center, Glenwood South, Fayetteville Street and attractions like Red Hat Amphitheater, an outdoor live entertainment venue. With a rich industrial history, the district is undergoing a resurgence and has developed a new identity as an arts and cultural destination. Home to entrepreneurial start-ups, innovative tech space and collaborative work space, this area is also attracting a new generation of office users. Much ongoing development activity is bringing additional jobs and life to this special historic neighborhood. For more information on this landmark project, please visit The Dillon website.